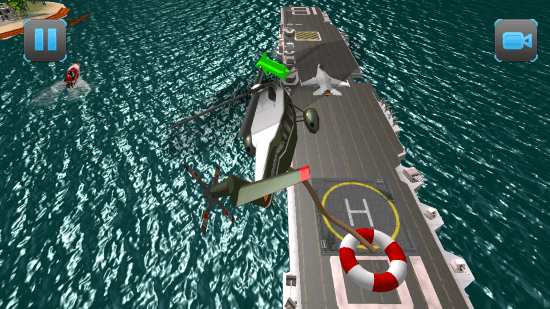 Navy Air Ambulance Rescue 3D is a free helicopter simulator game for Windows 8 and 8.1 computers. 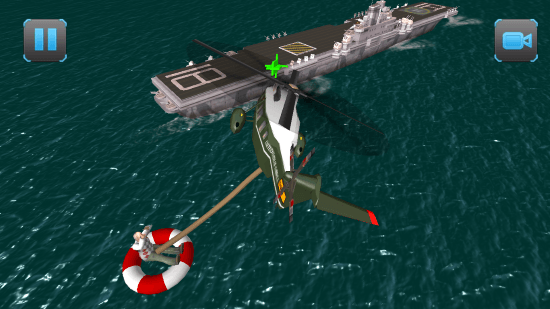 Published by Nation Games 3D, this flight simulator game for Windows 8 lets you take control of a helicopter ambulance, and rescue people. You work for the Navy as a pilot, and right now you are posted on an aircraft carrier as an ambulance helicopter pilot. Successfully execute deadly rescue missions with your helicopter. 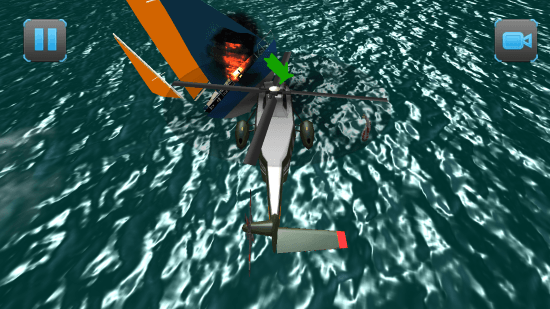 Find the survivors of oil rig explosions, drowning boats and ships, and rescue them back to the aircraft carrier. Use your training skills, and leave no survivors behind. This free flight simulator game is available on Windows App Store. This game occupies just 40.6 MB on your device. Search for this game in the search box available on Windows App Store. You may also follow the download link at the end of this article. Clicking the Install button will download, and install this game automatically on your computer. This flight simulator game for Windows 8 is extremely exciting to play. With more than 10 different rescue operations, this game never gets boring. 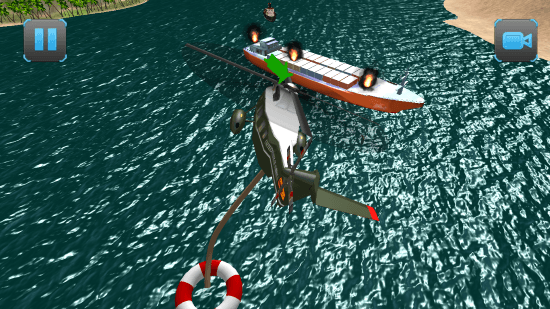 Use WASD keys, or the navigation keys to move the helicopter forward, backward, and sideways. To turn the helicopter left and right, use Q and E keys respectively. To lift the helicopter Up, use the Shift key, and to bring it down, use Ctrl key. Select a level, and begin playing this thrilling flight simulator game for Windows 8. Take off from the aircraft carrier to follow the GPS direction arrow. The arrow leads you to the rescue point, where survivors are waiting for you. Once you reach the destination, carefully lower down the helicopter so that the survivor may grab the rescue balloon. Once the survivor holds on, and is secure, turn the helicopter and get back to the aircraft carrier. The GPS arrow will guide you precisely to the ship. Once you reach the carrier, make a landing to secure the survivor. The take off and the landing points are different. If you land at the take off point, you fail the mission. Once a mission is over, you can move on to another level, to accept another challenge in this flight simulator game for Windows 8. The graphic quality of this flight simulator game for Windows 8 is pretty amazing. The visuals are neat and crisp. Realistic sound effects have been added for a real simulator experience. Go ahead, get addicted to this challenging game. 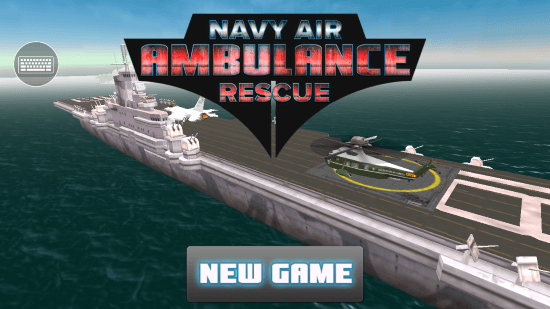 Install Navy Air Ambulance Rescue 3D for Windows 8 and 8.1 computers today.